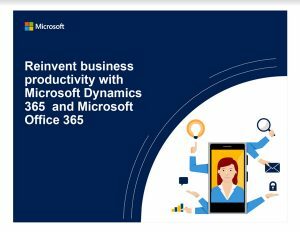 Microsoft Dynamics 365 is a suite of next generation business applications that assist you to empower your employees, enlist your customers, and enhance your operations. Microsoft Dynamics CRM Online has now become Dynamics 365 and is available on premise or in the Cloud. Adapt to change. Build and connect apps to meet your specific business needs. Start with what is needed. Choose the application modules specifically designed for you industries and roles. Improve productivity. Allow for a greater yield by connecting your business information with Office 365 and LinkedIn data. Inspire intelligence. Provide insights powered by artificial intelligence and the cloud. All of these work seamlessly together so you can buy just what your business needs now, and add others as those needs grow. Microsoft Dynamics 365 is available both on-premise and via the Cloud. Integrated Business Group (IBG) will work with you to determine the best fit for your organization. Do a walk-through of the various scenarios that showcase the power of Microsoft Dynamics 365 then give us a call to find out how you can benefit. Integrated Business Group, a Microsoft Dynamics 365 reseller sells, implements, supports and provides training for Dynamics customer relationship management software.